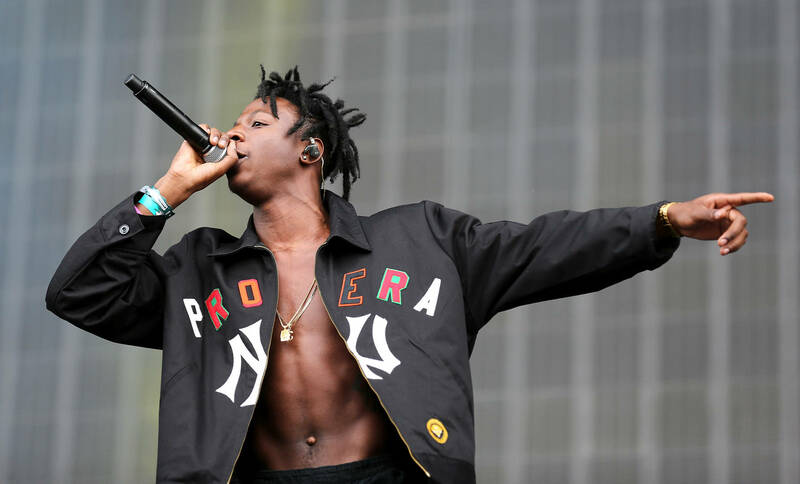 Joey Bada$$ has been hit with an accusation of practicing shady business. What happens when a mixtape, originally released as a "free" project without the limitations of any paperwork, gets added to streaming services in the present day? For a deeper look at the process, consider the wisdom of E. Dan of "ID Labs," who once spoke about bringing Mac Miller and Wiz Khalifa's classic mixtapes to streaming services, outlining several roadblocks in doing so. "The longer they wait, the harder it is to get clearances from everybody involved," he explained. "Some of the producers on Kush & Orange Juice, for example, nobody knows who those guys are or where to track them down. The more time that goes by, the harder it is to find those people. With that in mind, there is a context surrounding the process of bringing a "free" release to a streaming service, outlined by a respected veteran in the game. Now consider the following situation, in which producer BrandUn DeShay took to both Twitter and Reddit to call out Joey Bada$$ for neglecting to undergo the proper protocol in paying producers. Citing the songs "School High” & “Last Cypher” off Pro Era's PEEP: The aPROcalypse, DeShay opened up about his experience, which he deemed bittersweet due to his Bada$$ admiration. "It's been almost 2 MONTHS since I heard from Joey Bada$$ yall," he writes, in a Reddit post. "I wanna give him the benefit of the doubt that he's a much busier man than me these days, but I've also reached out to his label management over the last 5 months and still no reply." He continues: "Until recently (December 12/23/18) Joey re-released the PEEP the Aprocalypse mixtape on all streaming platforms. Therefore generating bread off streams and DID NOT ask my permission, did not do splits or even work out a deal to just buy my share of the publishing from me." Though he does pray for a peaceful resolution between both parties, bringing an issue to a public forum is bound to elicit a dual-sided story. It didn't take long before fellow users dug up old animosity between DeShun and Tyler, The Creator (as expressed on a forum, of all places), an attempt to cast doubt on his character. Yet DeShay has been putting in work for a minute, and his circumstance should be heard with an open mind. Hopefully, we can see a resolution to this that finds harmony between artist and producer, as their relationship stands at the heart of the art form we all love.